Every year on or around September 15th, teachers and students around the world celebrate International Dot Day. 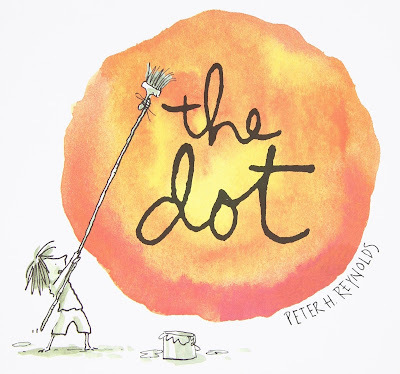 Based on Peter H. Reynolds' book The Dot, kids are encouraged to explore their creativity, starting from something as unpromising as a dot. This usually coincides with my colour mixing unit in Grade One science. 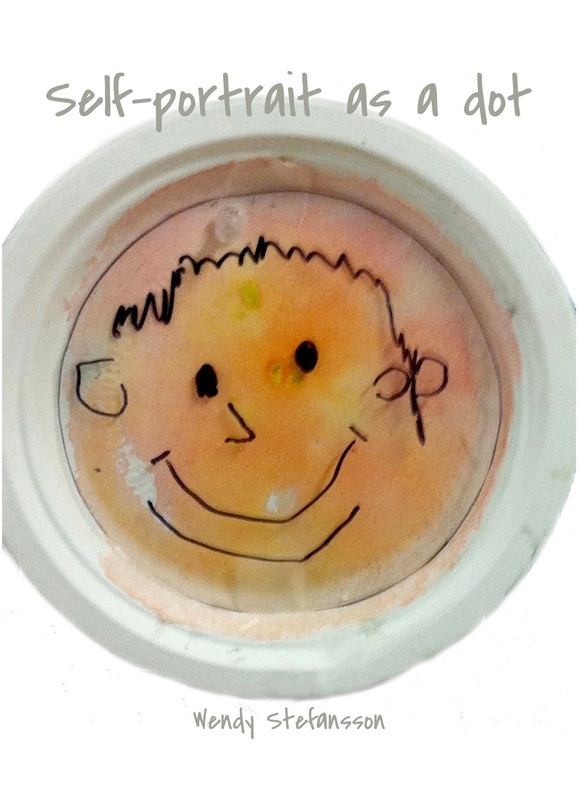 So one year I had my students paint themselves as dots. First, I handed out paper dessert plates (sturdy ones). 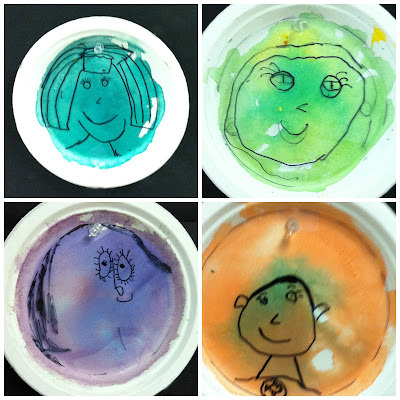 The kids painted them with one of the primary colours (red, blue or yellow) in a watercolour wash. Then they got to choose a second primary colour to mix with the first one by dropping it into the wet paint that was already on the plate. 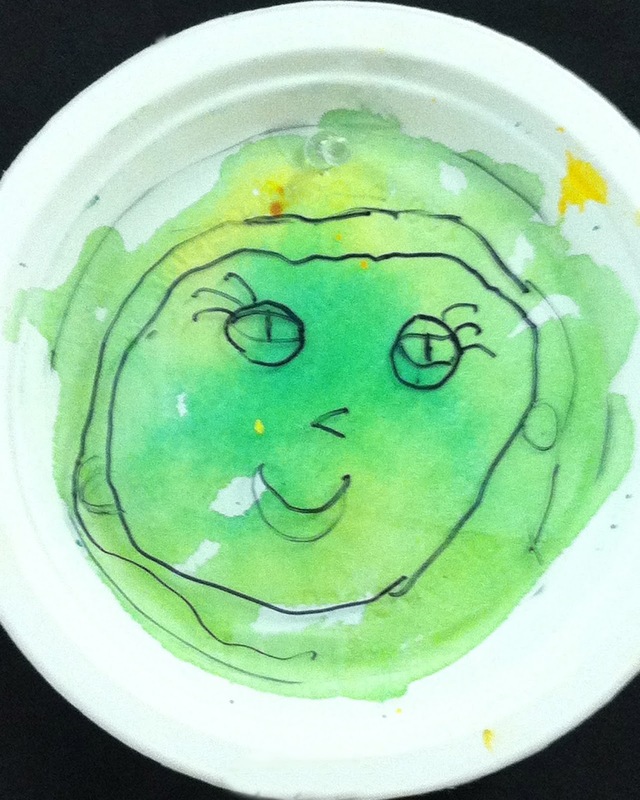 The next day, I handed out pieces of acetate that had been cut to the right size for the plate. I gave the kids permanent black markers, and asked them to draw their own faces. Then I tacked the plates up with the portraits in front of the wash they had made. 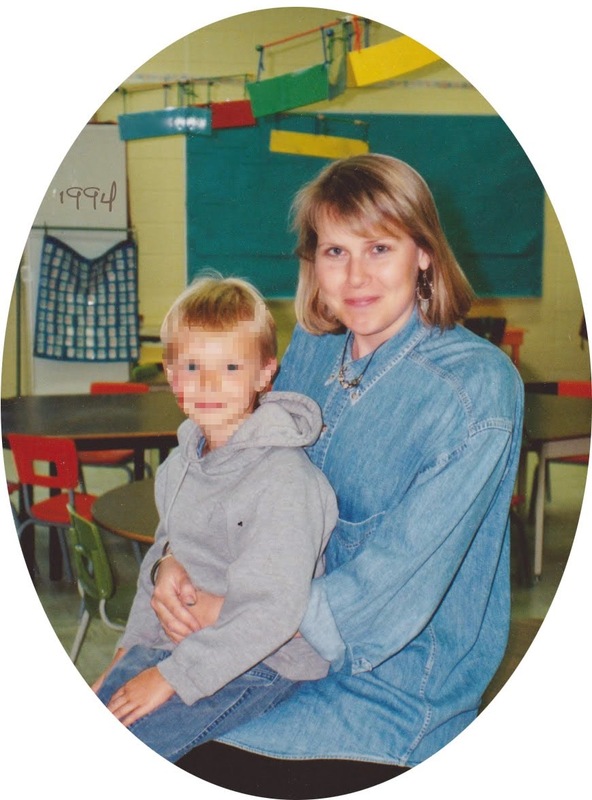 Lastly, I "connected the dots" with string when I put all the portraits up on a bulletin board. 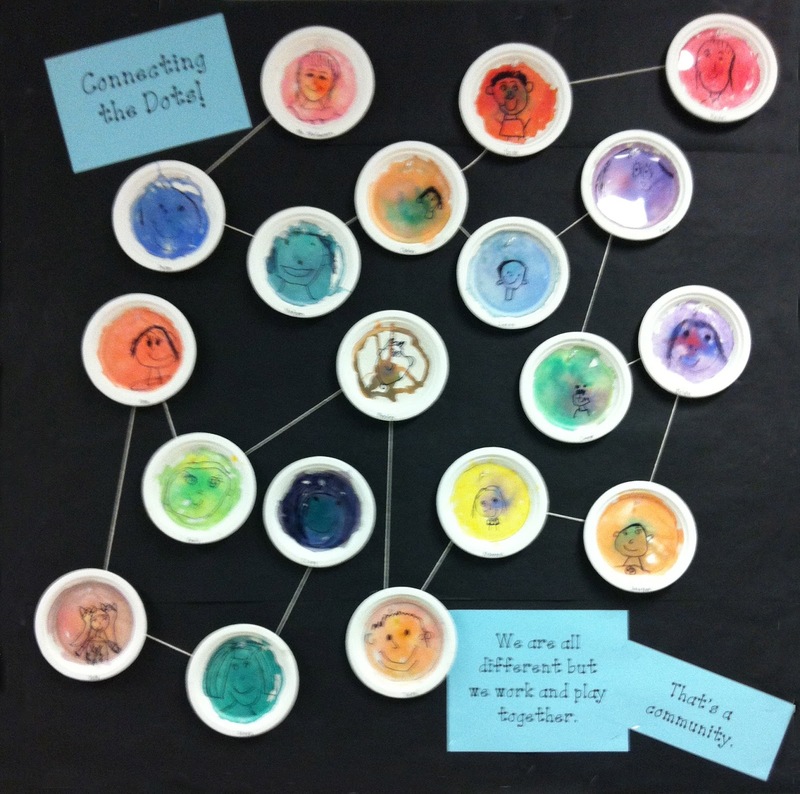 This became a provocation in exploring the meaning of "community," and specifically of our class as a community. I think if I were to do this again, I would let the kids draw the lines between the dots with white chalk, to show and talk about how they are connected to each other. To map our classroom community. Maybe arrange the dots in a circle, to simplify it. I think this would be a great project at my library.